Small footprint, large impact living! Urban lifestyle in Charming Georgetown location. 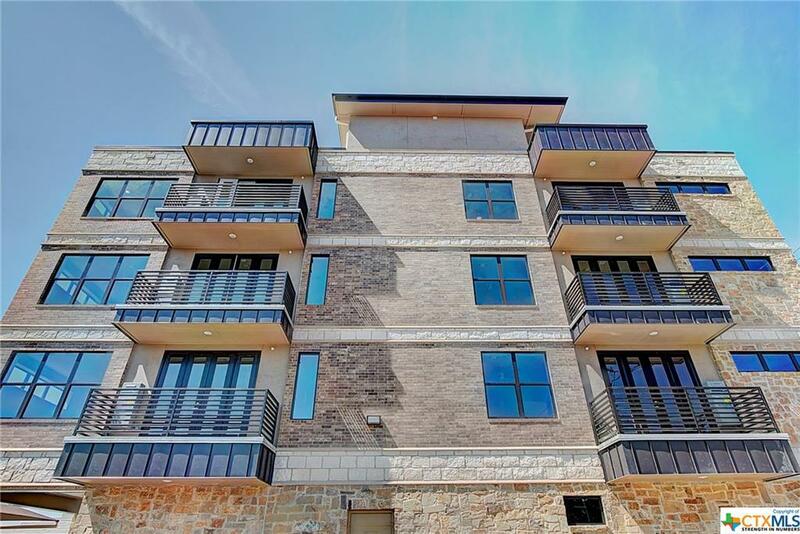 Minutes Walk from Georgetown’s Beautiful Downtown Square, Restaurants, Blue Hole Park, Library, Courthouse, City Municipal buildings, Hike Bike Trail, Southwestern University, and more. Modern and Contemporary Style. 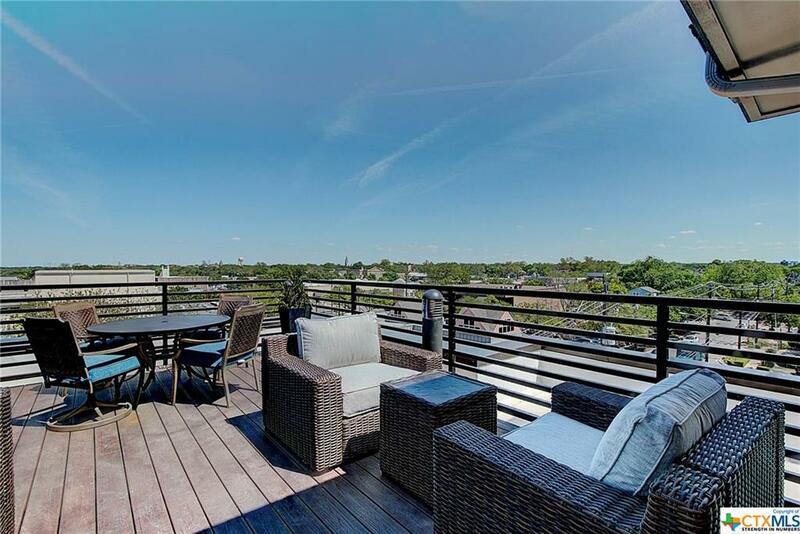 Residents enjoy Rooftop deck and community entertaining space. Panoramic views of all of Georgetown. 4 Floor plans, 1 Bed/1 bath-2bed/2 bath lofts. Open floor plans with Tall Ceilings. 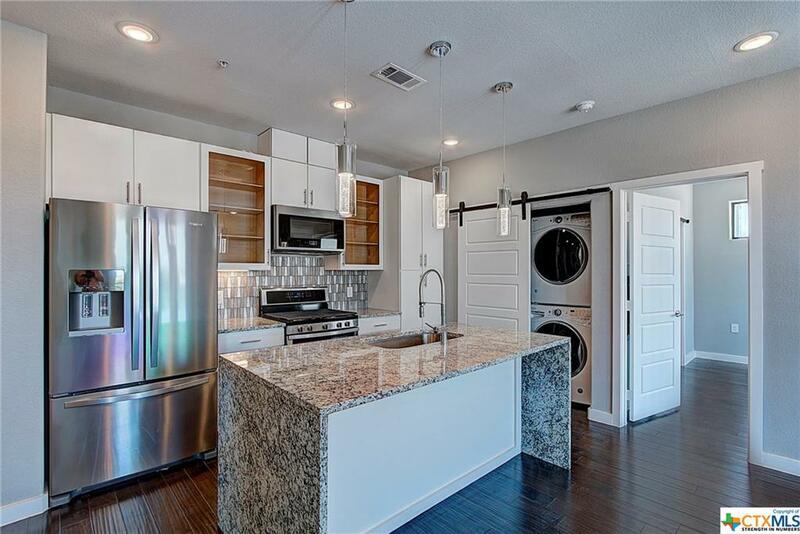 Full Appliances package in all units. Balconies. 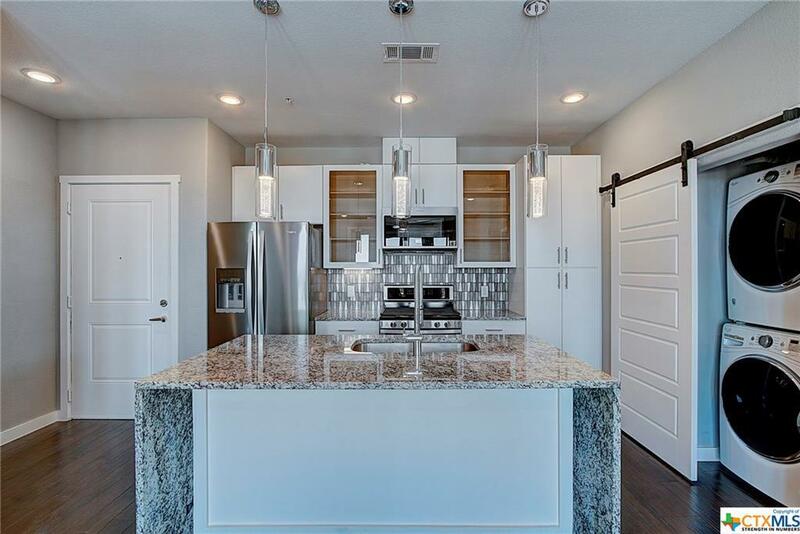 Granite Counter, Glass tile Backsplash, High-end Lighting fixtures. Lighted Ceiling Fans, Pendant Lights. Sliding Barn doors, Wood Look flooring. Stackable Washer/Dryers in all units, Ultra Quiet Elevator, On Demand Water Heaters, Full building Water softener/filter, Premium Adjustable shower heads/wands. Parking & Storage included. Sales Ctr Hrs Th 1-4, Fri, 3-6, Sa/Su 1-4 Lofts on Rock in Downtown Georgetown! Modern Living with a Small Town Feel.